When you have rheuma, it can hard to explain to others why you can’t just “hurry up” or “do” like anyone else. If you’re like me, you prefer to keep quiet about the pain you’re in – you don’t want people to think you’re a wimp, or a whiner, or that you’re angling for attention and sympathy. Or maybe you just don’t want to have to launch into the whole complicated, mind-numbing explanation about your disease. The trouble is that people usually can’t see rheumatoid arthritis. Those who have it generally don’t “look” disabled, even though the disease may eventually confine us wheelchairs or leave us bedbound and helpless. We hope that the cocktail of drugs we take each day will prevent that unwanted denouement – even as we hope they don’t prevent the proper functioning of our stomach, liver and kidneys. We dream that a cure will be found in our lifetimes, and that maybe it will happen in time to help us, too. Rheuma is an invisible disease. But we who have it frequently have to cope with the very real and varied disabilities that it causes. 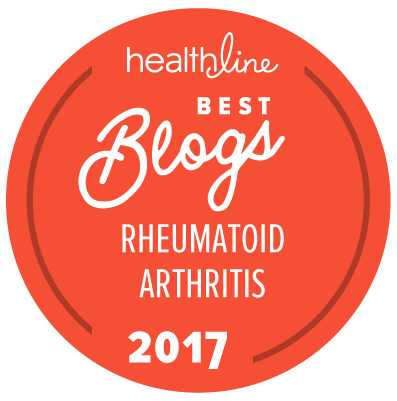 The inflammation and pain of RA often moves from joint to joint in our bodies. It’s if the disease is consciously malicious, going out of its way to conjure up new challenges for us to overcome. Here’s an example: A few days ago, one of the metatarsal joints in my foot was painfully flared. I limped around all day like I’d broken several toes but didn’t have enough sense to go to a doctor. Yesterday it was my shoulder joint. The flare waited until late in the day to manifest, so when it was time for bed, I had a hell of a time getting my stretchy, pullover blouse off. Then had trouble sleeping because I couldn’t get comfortable. Today (and just about every day, if I’m honest) my hands are achy and twinge-y. When I went to hang a small fry pan on the pot rack after washing up my breakfast mess this morning, just reaching up and fumbling the handle loop over the hook made me yelp, groan and, once I’d accomplished the task, cuss ferociously under my breath. Rheumatoid arthritis pain is real. It can be, at times, absolutely excruciating. At other times it’s bearable, but it’s always exhausting. You have to move carefully. Slowly. You can’t just “do.” A flared joint is stiff. It “screams” when it’s forced to move. It won’t willingly bear weight. And there’s not much you can do about it but wait it out and take painkillers in the meantime. Of course, painkillers constitute their own, exclusive little corner of hell. But back to the “invisible” disease. When our daughters were young, my husband loved to take them hiking and fishing with him. Sometimes I went with them. If it was a “good” rheuma day, hey, no problem. I could tramp around and cast a lure with the best of them. But if it wasn’t, it meant bringing up the distant rear during the hike. I simply couldn’t walk fast enough to keep up. Each step – literally – hurt like a you-know-what. That I was walking at all – and even taking on a three- or four-mile hike in spite of my feet hurting like they’d been beaten with bamboo sticks all night – was a source of an odd and private pride for me. After a while I’d fall so far behind that I was hiking alone, hoping to God that I didn’t trip and fall or twist an ankle, and that my family would notice my absence and maybe come find me if I did. Because I didn’t complain, they weren’t concerned about me. Once at our destination, the day would stretch out interminably. There was usually no place to sit down. I’d endure hours and hours of standing or gimping along the shore on my painful feet, casting for fish that, naturally, were totally uninterested in being caught and cooked for supper. Still, I didn’t talk about how much I was hurting. I’d chosen to come along, so I did my best to smile and laugh. I really enjoyed being out in the wilds with my family. I enjoyed basking in the fresh air and bright sunshine, resting my office eyes on the pretty, natural surroundings. I’d spot flocks of Sandhill cranes passing high overhead, their weird calls finally reaching my ears like whispering ghosts. I’d watch great blue herons stalk tiny fish in the shallows (far more successful fishers than I could ever hope to be). I’d stare down the occasional herd of slow-moving cattle that wandered by. And then there’d be the long, long hike home. I’d bring up the rear again. Invisible illness. I remember one night in Germany when my hands were so painful that I couldn’t work the door lever to my bedroom. I could push it down with my elbow, but I couldn’t bear to pull it open once it was unlatched. The agony that little bit of pressure caused was simply more than I could bear. So I stood at the door and cried like a baby. Finally, I worked up the courage to take hold of it and pull. There was no choice. I had to go to the bathroom. And taking care of that was another almost impossible obstacle. I was fortunate enough to have the disease go into “remission” for a long time. While it was, I began to forget how painful my life had been before. I got used to being able to do what I wanted to do again. I backpacked. I canoed. I fished. I gardened. As a journalist, I covered local wildfires and kayak rodeos, bow-hunters and bears that had wandered into the suburbs. All of these required a lot of walking and sometimes, running. I did it. I even participated in whitewater rescue training with the local fire department, wetsuit and all. Now the rheuma is back and steadily ramping up. This time, I’m speaking out when I hurt. I’m asking for help when I need it instead of suffering in silence. 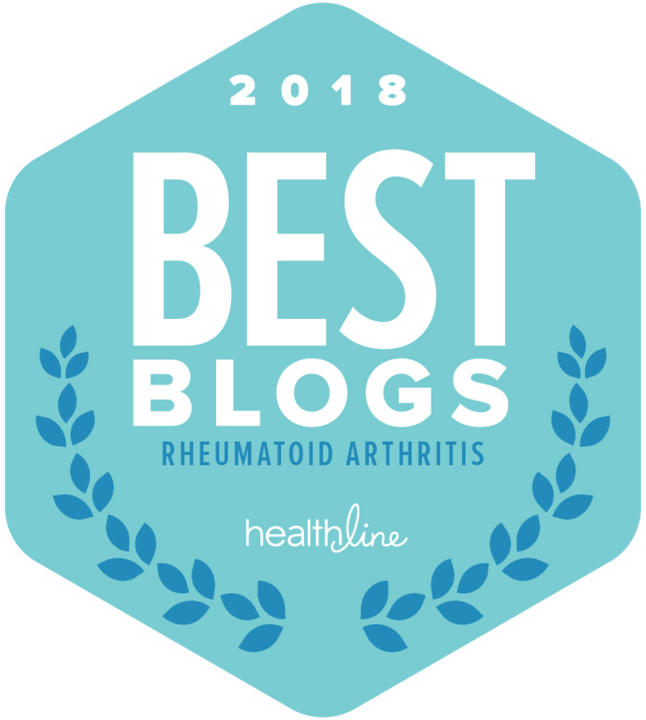 I’m researching the disease, learning all I can about it and talking with my rheumatologist, asking lots of questions, making him prove his stuff. Most of all, I’m learning to be my own advocate. I’m not whining. I’m not lazy. I’m sure not a wimp. Rheuma may be “invisible” to others, but it’s still disabling. That’s a lonely, isolating condition to be in. Speaking up – and speaking out – is vital. I love this post. I read it yesterday but my hands weren’t in the best of shape so I had to wait til today to respond. Being new to RA, one of the biggest challenges I’m facing is learning my limitations and asking for help. I’ve gotten so used to doing things on my own and getting things done so quickly that I’m now beginning to realize that it’s no longer going to be possible. Suffering in silence is something I think a lot of people go through. Speaking for myself, I just find it pointless in complaining/whining about what I’m dealing with when I know there are others that have it worse off. I’m learning the difference between what I see as myself complaining and what is actually simply asking for help. I thank you for this post.